This designer dog coat is designed for very posh Pooches! 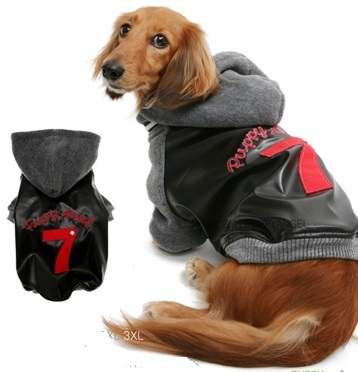 Your dog will be on cloud 9 in this Puppy Angel Lucky 7 Jacket. On the back are the words Puppy Angel with a large 7 applique on the back. There is a genuine Svarovski crystal in the corner of the number. Available in sizes S SM M L XL 2XL 3XL.